This is 12 Gauge NobelSport Hunting 2 3/4" 3 1/4 Dram 1 1/4oz. 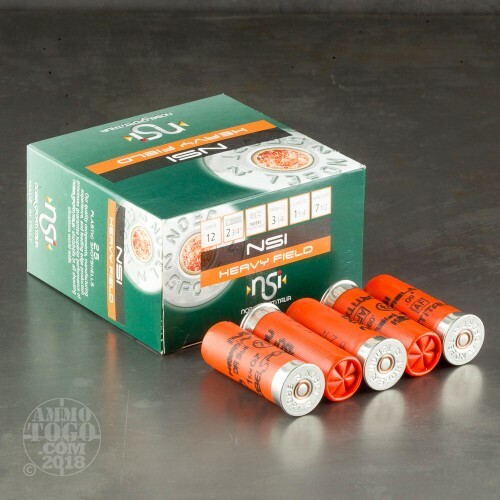 #7 1/2 Shot Shotshells. 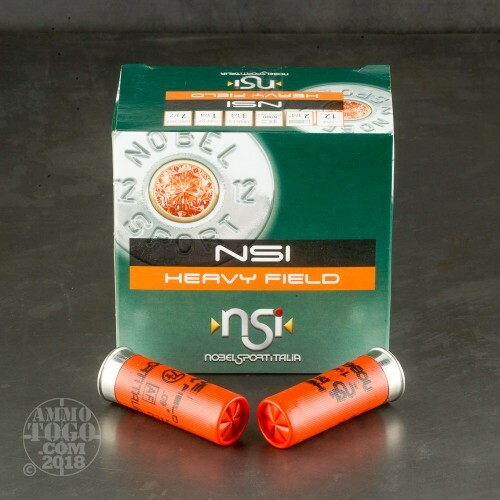 This Shotgun Ammo is manufactured by NobelSportItalia in Italy and they are premium quality shells. There is a difference in hunting cartridges! Many manufacturers use cheaper, softer shot or lesser grade powder and components to save money. In today's world, there are just too few opportunities to make that "shot of the day" to accept anything but the highest quality hunting shotshells available. 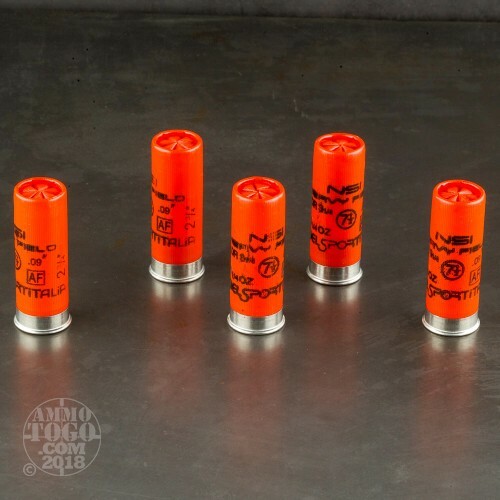 NOBELSPORTITALIA Hunting shotshells are assembled on the same machines, by the same craftsmen, to the same standards and using the same 21st century technology as NOBELSPORTITALIA's world class target shotshells, which are world renowned for there quality and are used by many competitive shooters. 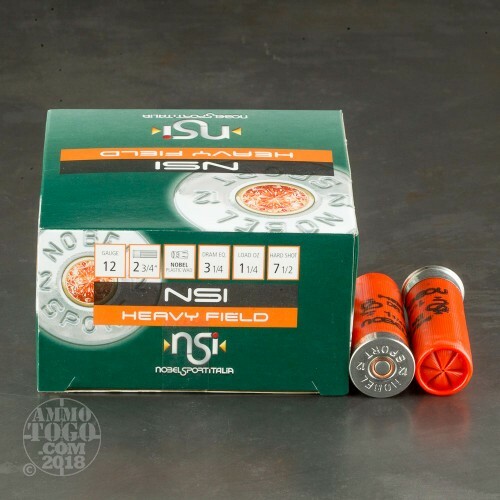 Only the finest plastic cases, high antimony hard shot, even patterning wads and famous NOBELSPORT 209 primers are used in NOBELSPORTITALIA Hunting shotshells. These are the best hunting shotshells that money can buy. This ammo is packed in 25rd. boxes, 250rds. per case. Muzzle Velocity: 1220 fps.